Does it make financial sense to start a coworking space? 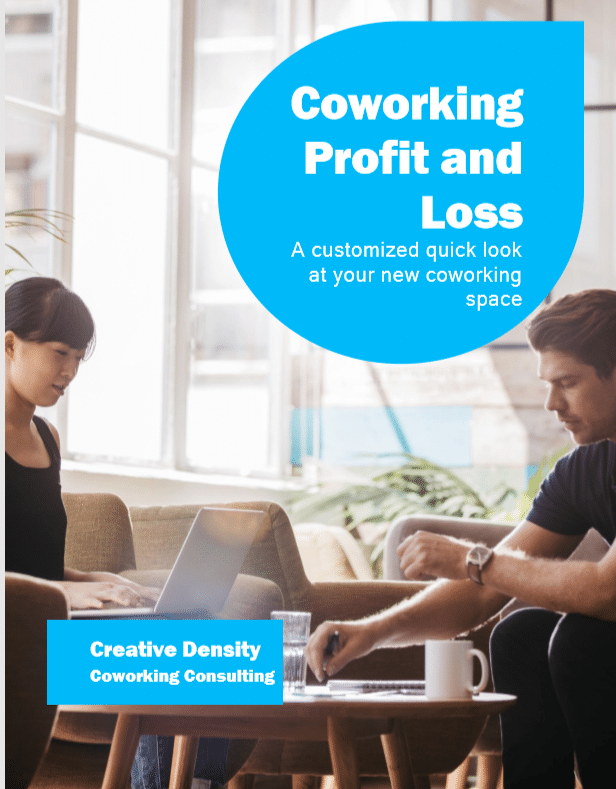 Get a Customized Realistic Revenue and Profit and Loss Estimation for your Coworking Space. Based on 9 years of coworking consulting and ownership. Our Projections are based on US coworking trends and best practices. Our model is best used for property owners thinking about converting their property or entrepreneurs evaluatiing different locations and leases. Coworking is still new and it takes a blend of real estate strategies, community building events, and sophisticated online branding. We’ll itimize what you expect to pay each month based on the size of your building, the age, the level of amenities, and general business model. Want even more custom and detailed? We have a full year coworking revenue tool in the works. In it will include furniture and amenity startup costs, estimated monthly revenue for the first year, and a detailed CPA level P&L document designed for you. The price will be $500. Please reach out directly if you want a full feasibility study performed for your space with compeitive anlysis, layouts, and over 10 hours of consulting. Since 2009 we have been in the coworking world as owners and consultants. Before entering the coworking world we were market reseachers helping companies build new products and accountants. We have blended these skills and have become experined coworking consultants helping dozens of spaces throughout North America, Central America, and Asia open spaces. Our most common project are performing feasibility studies. We have now taken that knowledge and turned it into a customized coworking report based on national averages and trends, but catered to your space.